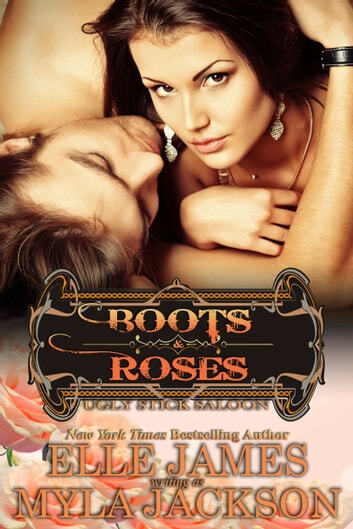 Near the eve of her ex-husband's wedding to the woman he cheated on her for, Bunny Leigh takes a step on the wild side and bids on a cowboy and a cop at the annual Ugly Stick Saloon cowboy auction for charity. One date. That's all she bargained for. For the flower shop owner, who hasn't been on a date in years, it's terrifying. Cory McBride, a college graduate and former stripper, teams with his best buddy and also former stripper-turned -sheriff's-deputy, Jack Monahan, to win the heart of the beautiful flower girl with whom they're both in love. Rigging the auction so that Bunny has the winning bid, they embark on a mission to woo the pretty lady despite all the barriers that stand in the way. Willing to share her, the two cowboys must convince her one woman can handle both men.